Aside from the striking back design and Shin's custom finish, the Wrath Deck includes a secret hidden one-way back design. 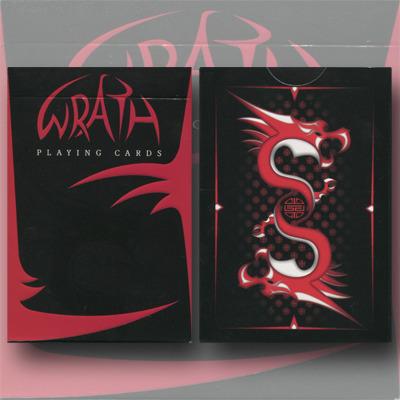 In addition, the Wrath Deck comes with custom gaff cards as well as 2 secret prediction revelations. You will receive over twenty minutes of online instruction by Shin Lim. Shin will teach you a number of tricks and visual effects using the custom gaff cards as well as the Secret of the Wrath back design.